Who loves racing games? Guys! I used to hate racing games from Gameloft in the likes of Adrenaline and co. My reason was because the game hardly adapt to my device sensor and too much demand for credits. I have to tilt my device to the point of losing control on the racing lane. Sometimes i had to opt in to RGP Moto racing or bike climbing. Thanks to Criterion Games, EA DICE, Exient Entertainment the creator of Need for Speed: Hot Pursuit. I became in love playing this game since yesterday. I’m now like a PRO racer. Hot Pursuit is quite smooth. Though it has unexpectedly crashed few time but it is stable now. 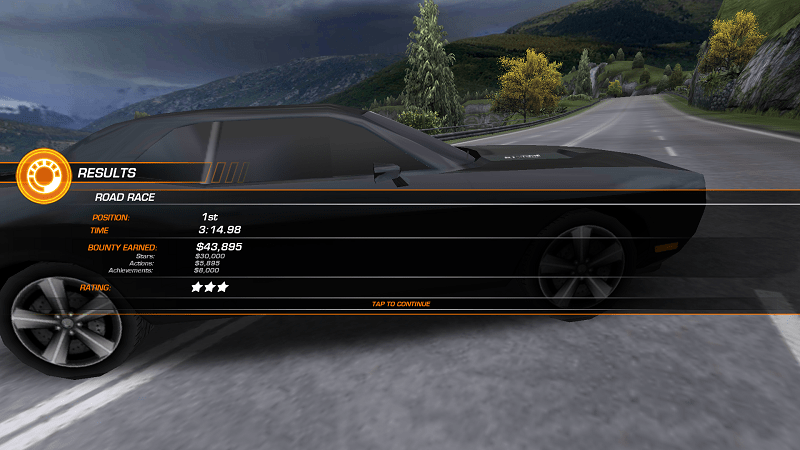 Yes you need a credit to unlock handsome cars with heavy turbo charges but it is a considerable bet. One of the good things I like about Hot Pursuit is its ability to switch to a more different level. You have at least to unlock 5 gaming road-maps before moving on to the next level. You are rewarded base on your performance and car used. There are three stars with different credit bonus and bounty cash. 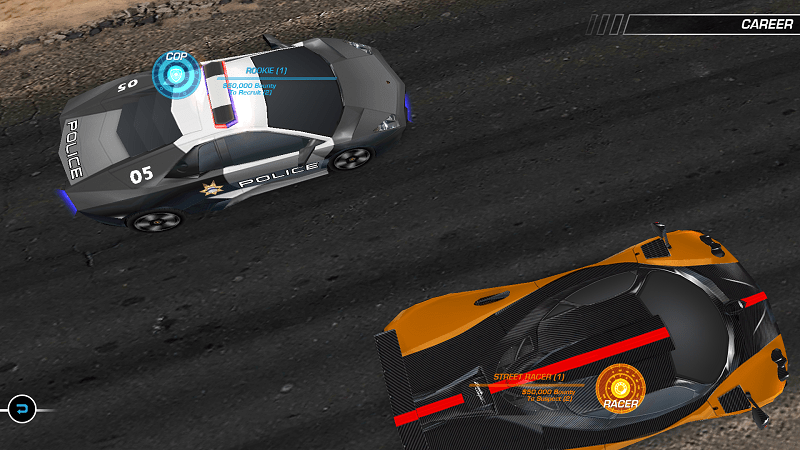 To play Hot Pursuit, you have option to choose police or normal racing mode. 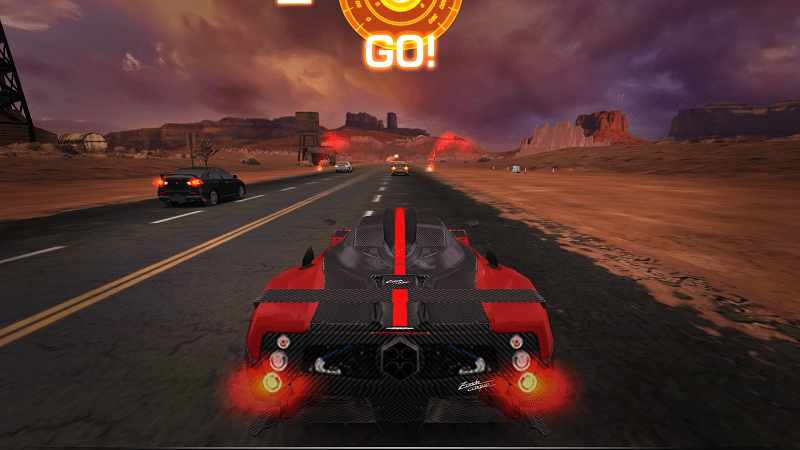 In the racing mode, you will be in a setting of being pursued by the police. If you are able to escape them within a stipulated time, you become a deal done. otherwise, you are busted like that of GTA. For the normal racing arcade, you join other three racing gangs. It has three lapse before victory. Your star increases by number of lapse you came first and your cash reward is dependent on the star(s). Successful victory will create a chance of discovering new racing location and new level. I recorded some videos through A-Z screen Recorder on my Android device. Although it was tough but i still have them. Playing Hot Pursuit is not a tough like other car racing. There is no turbo on the run way to energize your car. All you need is to swipe up with your right thumb on your touchscreen to boost turbo speed. Some tricks like smart bending can increase your turbo time. I have uploaded part of the videos on YouTube.